WHAT TYPE OF BACKPACK SHOULD YOU PICK? Have you ever wondered how to pack a backpack like a hiking pro? Sure, everyone can stuff their gear into a bag but learning how to load a pack has some big rewards. For one is you’ll be much more organized on the trail. Since you’ve made an effort to put each item in its place, it will be easy to find what you need when you need it. And two, your bag will be much more comfortable to carry because you would have distributed the load. If you’re struggling with packing your backpack, don’t worry, that’s why we’re here. One of our big goals at The Adventure Junkies is to give you the resources you need to enjoy yourself on the trail. 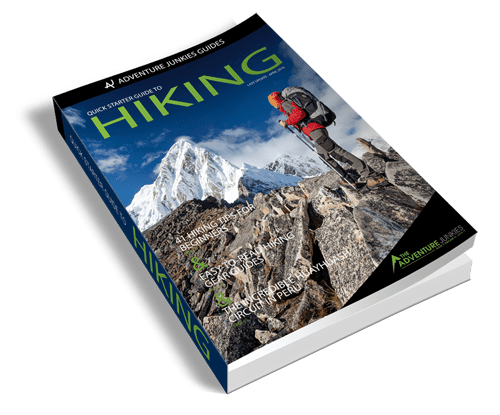 Learn how to plan & prepare for your own overnight hiking adventure. Before we get into the details of loading up your pack you need to ask yourself a simple question: What type of backpack do I need? This core question can only be answered by imagining what you want out of your trip. Is it going to be a morning stroll, a full-day hike or a multi-day adventure? 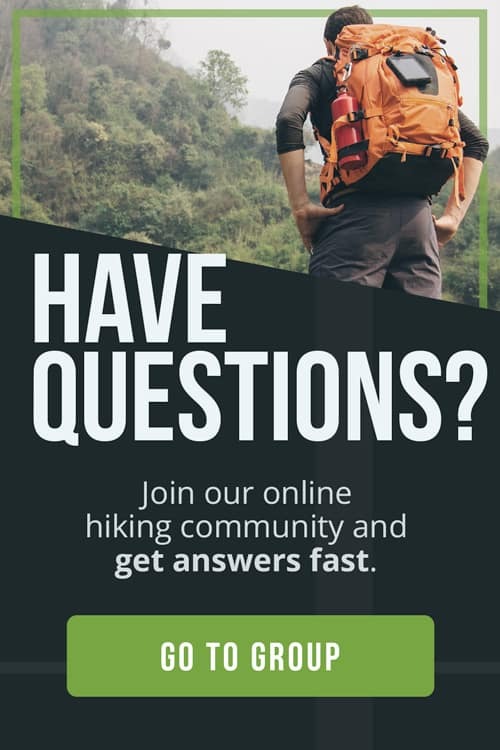 To learn more, check out our article about how to choose a backpack for hiking. In that article, we show you everything you need to consider when choosing the right pack for your adventure. The first tip given by the folks over at Backpacker.com is to lay out everything you want to bring in front of you. Spreading out all your gear gives you a good overview of what you plan to take. You can then begin to visualize where you’ll put your gear and come up with a packing strategy. Another useful tip is to take a closer look at the clothing you’re planning to pack. 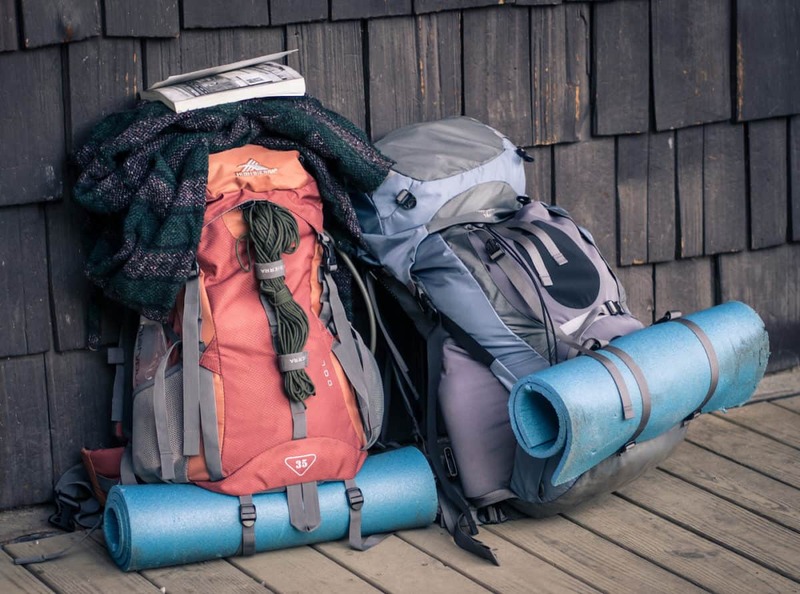 A common hiking newbie mistake is to overpack. Trust us, you won’t need as many pieces of clothing as you think you might. Base layers and wet-weather gear are necessities, pretty much all else isn’t. WildBackpacker.com adds that laying out all your stuff allows you to group gear together into categories such as camping, cooking, clothing. Once you’ve done that you can organize them by weight. We’ll go into more detail why this is important in a moment. In this video by Marco Johnson from NOLS (National Outdoor Leadership School) shows you exactly how to pack a backpack. His A-B-C-D-E-F packing principles are especially useful, easy to remember and worth checking out. Watch this great ten-minute video and see how an experienced outdoorsman packs his backpack. Now it’s time to pack your backpack. Let’s start from the bottom and work our way up. So, what should we pack first? Since things at the bottom of your pack are the hardest to get to we’re going to start with what we won’t need during the day. This is typically camping gear. The first thing to go into your backpack—and the last thing to come out—is your sleeping bag. Make sure you store your bag in a dry bag to make sure it won’t get wet if you set your pack on wet ground. Now let’s pack the rest of our camping gear, such as a sleeping pad and a pillowcase, around your sleeping bag. If you have a bulky sleeping pad like the Therm-a-Rest Z Lite, you can save space by strapping it onto the outside of the pack. 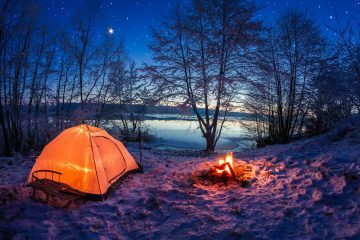 In general, all camp gear goes in the bottom of your backpack except for your headlamp or flashlight. As you’re loading your pack, keep weight distribution in mind. Put lightweight gear in the bottom of your backpack. The heaviest things should be as close to your back as possible and in the middle of your backpack. Now that we’ve got the bottom of our packs loaded, let’s pack the middle. Put heavy gear right on top of your sleeping and camping gear. Think cooking stoves, food, extra water and pots and pans. Are you worried about packing your food next to your cooking gear? REI offers a useful tip, when packing fuel, make sure to place it below your food in case it spills. Another option is if your backpack has side pockets, pack your fuel in them. The trick is to figure out how to pack your backpack so that it is well balanced, with a stable center of gravity. How do you do that? Keep heavy things away from the outside, bottom and top of your backpack. Once you’ve packed your heavy things, you can fill up any leftover space with lighter items such as a rain fly, tent body, and clothes. P.S: Wrapping your clothes in your tent body, incidentally, also helps to keep them dry. If you’re heading into bear country, always bring a bear canister. You should also pack this among your heavy stuff, close to your back. Now that we’ve packed the bottom and middle section of the backpack, let’s move on to the top section. So, what goes into the top portion of your backpack? Cooking gear, extra layers of clothes and anything else you might need access to during your outdoor trip. This is where you should put your small necessities, such as sunglasses, a first-aid kit, a rain jacket, a compass, and snacks. Sometimes, backpacks come with small zippered pouches on the hip belt. These, along with other external pockets, are also great places to keep small gear and trail food. After filling up your backpack, you might still have some gear left. Strap equipment such as hiking poles, tent poles, crampons and ice axes to the outside of your backpack. Make use of all empty spaces in your backpack. Put socks into your spare shoes. Put utensils, matches and other small items in your cooking pots. If carrying one, fill up your bear canister as well. The key to packing your backpack properly is to keep things that you will most likely need within easy reach. Gear that you plan to use at camp can go somewhere deep inside your backpack. Almost all backpacks have compression straps. Pull them as tightly as possible to minimize your backpack’s volume and keep everything in place. Not sure what to pack? 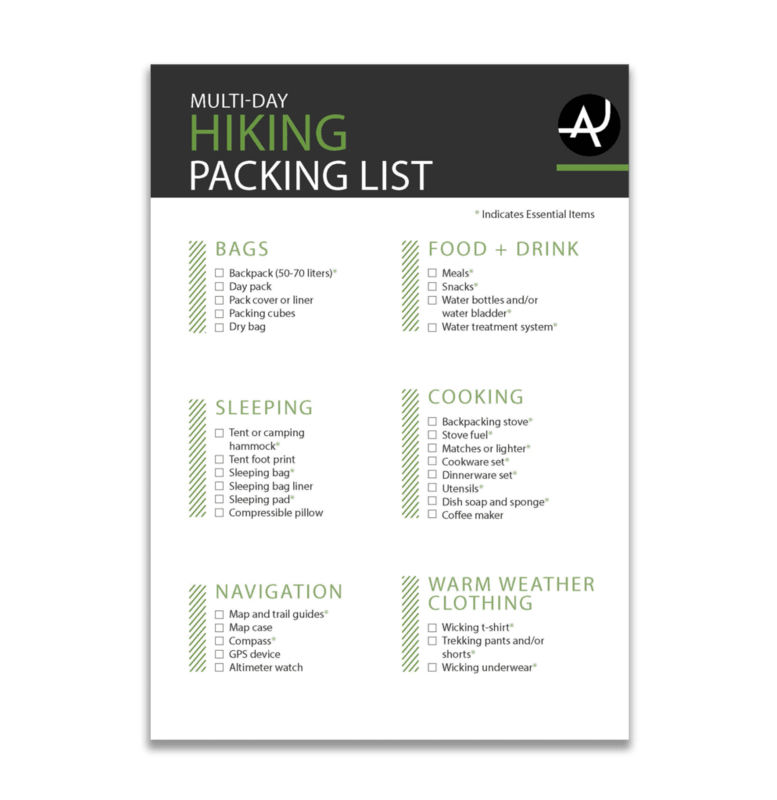 Check out our multi-day hiking packing list to make sure you don’t leave any important gear at home. 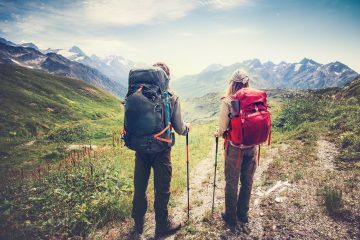 Besides these couple of extra suggestions, you should be all set with these tips on how to pack a backpack. Following this packing method, you can head outside with a comfortable and conveniently packed backpack in no time.